Through our courses and workshops, parents are able to share and reflect on their experiences and concerns. We recognise that one size does not fit all, so our sessions are semi-structured, ensuring that parents feel listened to and valued, with courses being built to their specific needs. 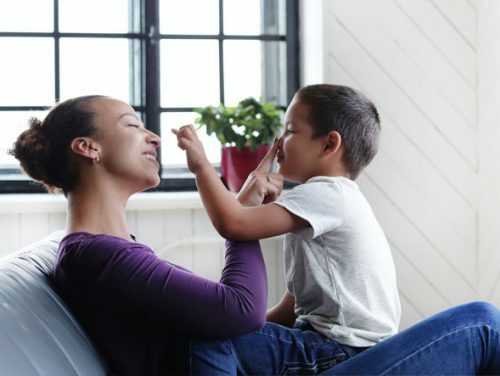 Parents are able to leave with a deeper understanding of their children with a set of practical strategies to use at home, tailored to the individual family. We are both accredited parenting practitioners and have completed evidence based parenting programmes including Parenting Positively, The Solihull Approach, Millpond Sleep Training, Positive Parenting (which includes Time Out for Parents) and the TEACCH approach, recognised by the National Autistic Society. We work collaboratively with many different organisations including Children Centres; Early Years Teams and settings; primary and secondary schools; home tutor groups; charities; parent support and additional needs groups. Our parenting courses cover a range of topics including parents self esteem and confidence, understanding the difficulties of being a parent, the importance of time spent with your child, understanding differing parenting styles, realistic expectations and managing different types of challenging behaviours. We offer courses for parents who have children and young people who have additional needs. We include a full evaluation for all of our courses, focusing on outcomes. These are open to all childminders and Early Years staff. Please contact the Early Years Team on 0203 045 4263 to book. This is the first in a series of workshops for early years practitioners wanting to support children and parents through those early developmental stages. This 2 hour session will look at understanding these challenging stages and practical ways to best support children in your setting. It includes tips, strategies and resources for you to use and share with parents. There will be time to discuss specific concerns and troubleshoot. For managers, section heads and sales staff wanting to gain an awareness of Autism Spectrum Disorder (ASD) and how best to support customers in a retail setting. It will encourage you to explore the shopping experience from a customer’s perspective and provide practical knowledge to build confidence and skills. Please contact info@purpleparenting.co.uk for more details.